Get my complete collection of beautifully-written essential email response templates, tailor it to your business and start saving precious hours each day. Struggling to balance your inbox load on top of cake making? Who knew that running a cake business would mean hours responding back and forth to client email enquiries? As arduous a task as it is, it’s necessary to lock in those all-important dessert bookings. 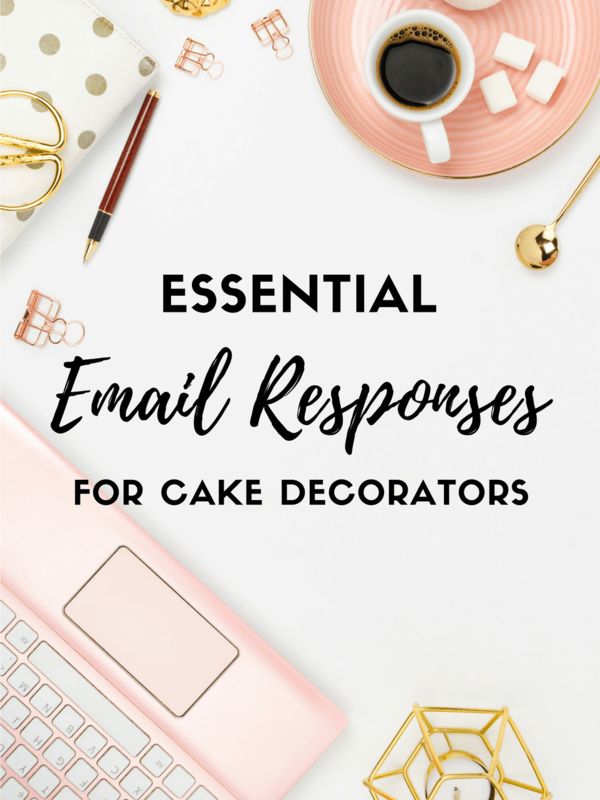 But, what if you could greatly reduce the amount of time spent replying to emails and put that time towards doing what you are REALLY passionate about.. cakes? Emails that navigate your clients from first enquiry right through confirmation and even post-event follow ups.